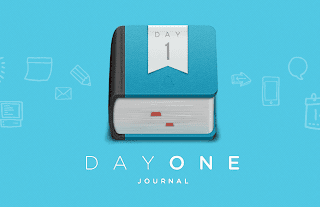 I love the DayOne journal for iOS. It is simple, easy, the cloud sync is wonderful so I can pretty much get real time syncing between my iPhone, iPad and Mac. It makes me want to write in my journal. Any writing is good writing... right? The best part of DayOne I think is the tagging. Each entry you can tag. For example I have tags called Personal, Workout, Work, DayInTheLife, Random Thought. Even though all the entries are chronologically together, the tags make them life separate journals. With the PDF export capability you can only export a specific tag. That way you can print off your Personal tag put it in your hard copy file and tuck it away. If you want to use a tag called Blogging Ideas for the blog, write your thoughts in there on the fly and you can have an entire collection right there. With the other bells and whistles you can have for each entry like Foursquare location adds, photos, and current weather when you wrote the entry you can really get a comprehensive of what you were writing about and where you were when you wrote it. I love it. I wanted to write this post to tell you about a neat little idea I did yesterday called Day In The Life. Unlike a personal journal entry or thought dump, my Day In The Life tag were a collection of entries, with photos, throughout the course of my day. At the end of the day I exported that to a PDF and have a small insight to my 'normal' work day. I don't plan to do that all the time but when certain days pop up it will be fun to paint that picture. Your own personal, more detailed Twitter-like account of your day that you can share or keep private to go back at some point to review. Sure you could write one big entry that was a recap but with DayOne and a tag you can quickly chronicle it as you go. 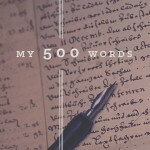 Who says a journal has to be a record of the past, make it a chronicle of events as they unfold. Take your journal to the next level. I highly recommend DayOne app. I discovered it only because Apple named it the best app of 2012. I don't think you will be disappointed, I sure wasn't.